Prince Harry and Meghan Markle’s engagement makes the story of Will and Kate seem very boring. Markle is a 36-year-old biracial American divorcee who was previously best known for acting in a basic cable drama. This is a dream. 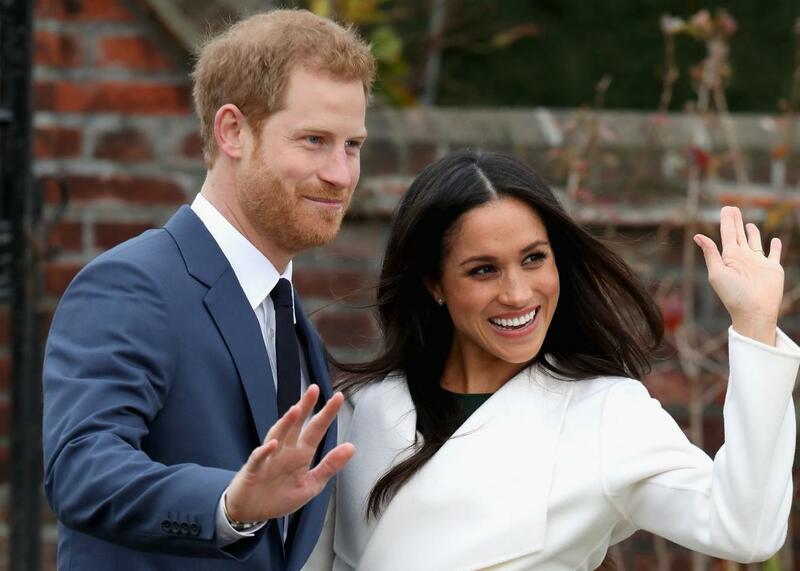 Break out the mince pies and crumpets: Prince Harry and Meghan Markle are getting married. The royal family announced Monday that the prince and his girlfriend got engaged this month and that the wedding will take place next spring. The royal family is an embarrassing anachronism, a financial burden on long-suffering British taxpayers, and an insult to the very idea of democracy. Also, squee, a royal wedding! Compared to this, Prince William’s 2011 marriage to a commoner looks downright conventional. Yes, Kate Middleton does not come from the kind of titled family from whence royals traditionally select their mates. But even if the Middletons are—gasp—new money, they are still British millionaires. And everything else about Kate is stereotypically princess-ish: the glossy hair and porcelain skin, the matchup with the prince in her early 20s, the threadbare professional resume. Once upon a time, Markle’s previous short-lived marriage would have been the most serious obstacle to this love match. Princess Margaret, Harry’s great-aunt, fell in love with a married palace employee, Captain Peter Townsend, in the 1950s. After Townsend divorced, he and Margaret tried to get permission to marry. But under the strict rules of the Church of England and royal tradition, Margaret would have had to forfeit her rights and income as a royal and to leave the country for five years after their marriage. Instead, they broke up. Markle’s romantic history is significantly less dramatic. She married a film producer in 2011 and divorced amicably two years later. It doesn’t seem to have gotten in the way of her relationship with Harry, whom she met through a friend in 2016. If Markle is an atypical royal on paper, however, she is a perfect choice for Harry, PR-wise. She’s gorgeous, stylish, poised, and has said she’s “proud to be a feminist.” She has a long record of philanthropy, working with the United Nations on gender-equality issues since before she met her fiancé. Earlier this year, she wrote an op-ed for Time magazine about the stigma around menstruation in the developing world. She can even make the experience of seeing yourself dubbed in Italian on TV in Capri feel relatable. Harry, for his part, has in recent years cultivated an appealing “modern prince” vibe—a royal brand that the New York Times, in their announcement about the engagement, described as “down-to-earth and more in touch with the public.” He effectively announced their relationship a year ago in the most romantic press release in history, defending Markle against the “racial undertones” of coverage of their relationship in the British press. While we await the moment when the royal family takes its rightful place in the dustbin of history, it sure feels great to squeal over these two in the meantime. Did I mention that Markle’s acting CV also includes an episode of the ABC drama Castle—y’know, as in the castle she is soon to move into? Her character’s alias on the show was the Fairy Tale Killer.